BMW just raised the stakes for electric vehicles by unveiling its new i Series concept cars. 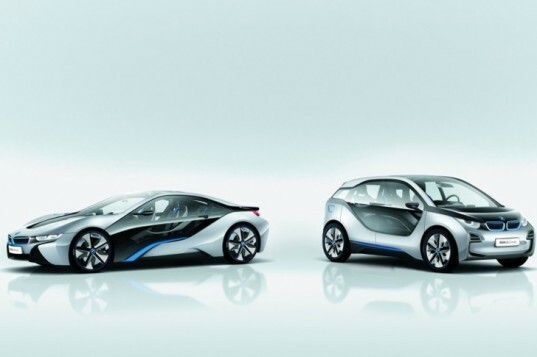 The runabout all-electric i3 is to debut in 2013, followed by the sporty i8 hybrid in 2014. Both 4-seaters push the boundaries of design and technology with advanced drivetrains and breakthrough carbon fiber bodies that shave weight to improve performance and mileage. Click on to read all the juicy details. Marking a milestone in the company’s vaunted lineup, the new cars will be exceptionally miserly on energy, but maintain a high performance credo. The more conventional i8 will have a 3.0 liter six-cylinder engine with a parallel electric motor to provide 349 horsepower. Using lightweight carbon fiber, the reduced weight allows the car to reach 60mph in a numbing 4.6 second. The technology however still allows for a frugal 78 mpg – assuming you’re not a lead foot. The car can also go 22 miles running just on its electric motor, much like the Chevy Volt. The i3 is even more unique. Built on an all-electric powertrain for an urban environment, the car can go 98 miles with full batteries, and can charge up 80% in an hour. The curb weight comes in at 600 pounds less than the Nissan Leaf, given its carbon fiber body, and a full 2 feet shorter to help navigate the urban maze. The i3 is the first production car in the world to use carbon fiber technology at this level. Powered by a 125kW electric motor the car can do 0-60mph in a respectable 7.9 seconds. Carbon fiber components combined with advanced drivetrains were first proposed in the early 1990s by the Rocky Mountain Institute as the “Supercar”, and was essentially ignored by the industry due to low gasoline prices. 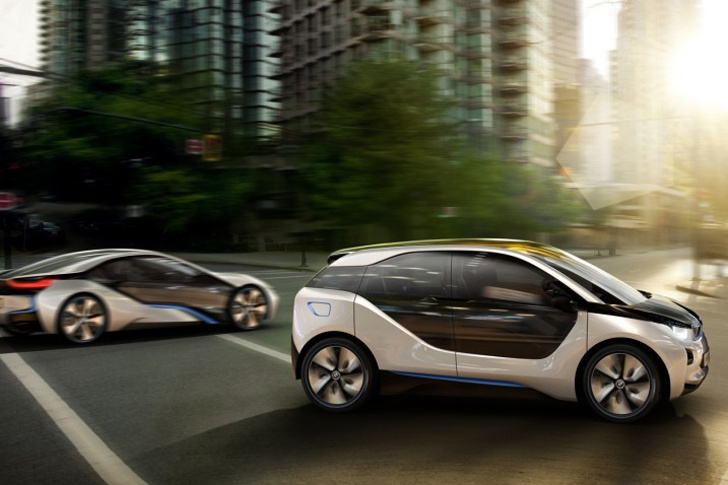 We’re excited to see the concept become a reality, and hope to see more manufactures take BMW’s lead!